‘Tis the season to be jolly… and sometimes too jolly. Christmas is the time of year where people can get carried away, over excited and, often, easily persuaded. So staying on the right side of the law can often be a battle of wills. With the party season, usually, comes alcohol. And, if you’re driving to an office bash or gathering with friends and family, that inner voice can start to say, ‘just one more, it’s Christmas’ or, ‘go on then, I’ll have another to celebrate’. But that extra tipple could be the one that pushes you over the edge. People often forget that if they’ve been drinking the night before, they may still be over the limit to drive the next morning. As it currently stands, the limit is 80mg alcohol/100ml blood but there have been recent calls to reduce the drink-drive limit to 50mg/100ml. The Institute of Alcohol Studies says reducing the legal limit would save at least 25 lives per year and statistics from the Department of Transport show that drink driving costs Great Britain £800m each year. Also, be aware that some constituencies operate on a zero tolerance scheme – something Scotland already has in place and perhaps the rest of the UK may follow suit at some point. It’s definitely worth remembering if you are heading north of the border as their legislation in this area is different. 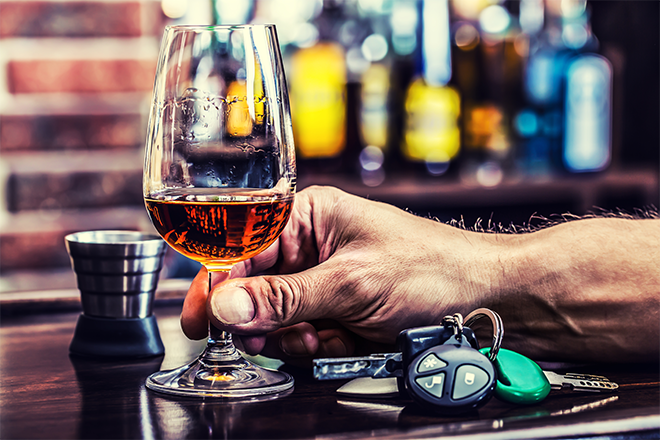 It’s recommended that people don’t have an alcoholic drink at all when driving but particularly over Christmas when the police are extra vigilant. If you are caught over the limit, the consequences can vary from a caution to points on your licence and a fine, to a lifetime ban. Here at O’Garra’s, we just don’t think it’s worth the risk. But if you have been caught, ensure you seek legal advice as soon as you can. We’re a criminal defence solicitors based in Leeds and we’re on hand 24 hours a day, seven days a week – INCLUDING Christmas and New Year, so do not hesitate to call us on: 0113 247 1477 or, our out-of-office-hours number: 0779 352 7288.